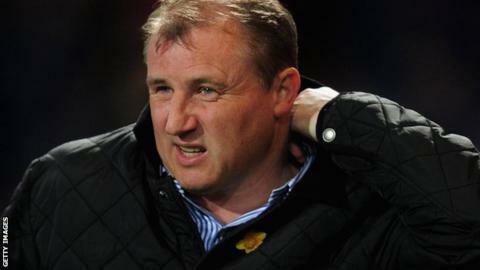 Ipswich Town manager Paul Jewell believes his players are good enough to turn around the team's poor start to the season. The Suffolk club, who lost 2-0 at home to Wolves on Wednesday, are currently second bottom in the Championship with one win from their opening six matches. "I think the players we've got here are good enough to get us out of this rut," Jewell told BBC Radio Suffolk. "We are a goal or two away from things looking completely different." Town's only win of the season to date came against fellow strugglers Watford and the Portman Road club host Charlton on Saturday, the side just one place above them in the Championship table. But Jewell is confident a second victory is just around the corner. "I believe in the group of players we've got," Jewell said. "We're just a goal away from winning games and things looking rosier. "It's a tough time for us at the moment, but no one is playing us off the park. "But I'm a big boy and I'm aware it's not been a good start."